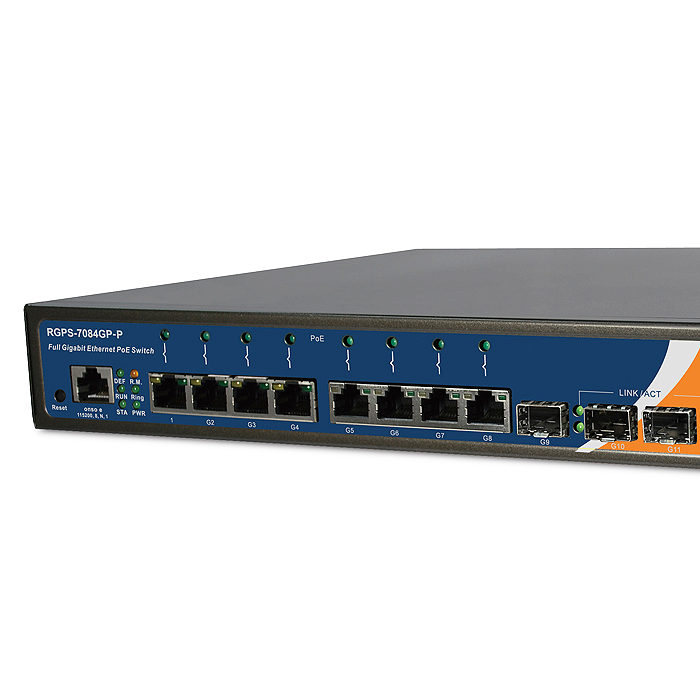 The RGPS-7084GP-P is a managed redundant ring PoE Ethernet switches with eight 10/100/1000Base-T(X) P.S.E. ports and four 1000Base-X SFP ports. The RGPS-7084GP-P provides advanced IP-based bandwidth management which can control each IP device's maximum bandwidth. Users can configure IP camera and NVR bandwidth levels as well as those of other devices. This switch includes application-based QoS which can organize data streaming according to TCP/UDP port number. The RGPS-7084GP-P also provides advanced DOS/DDOS auto prevention, meaning that if IP overflow occurs, the RGPS-7084GP-P will lock the source IP address to prevent the attack. It is a hardware-based prevention able to prevent plenty of DOS/DDOS attacks immediately and completely. All functions included in the RGPS-7084GP-P can be managed and centralized and used for Web-based, Telnet, and Console (CLI) applications. 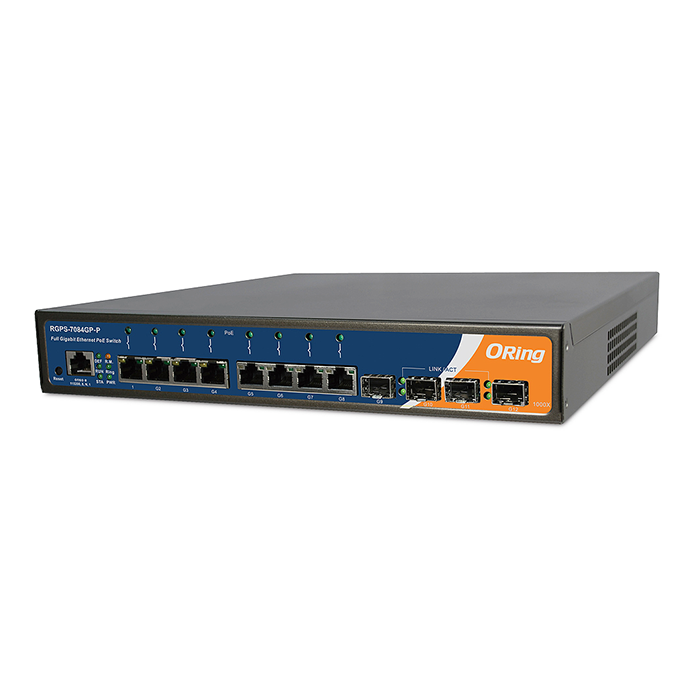 This switch is one of the most reliable choices for highly-managed, Gigabit Fiber Ethernet, and PoE applications.